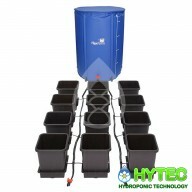 The 1Pot System is easily extended so many pots can be linked to a single tank. Please see examples of typical layouts using 6mm pipe or 16mm pipe. 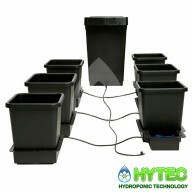 The pots & trays can be easily moved at will, if the plants grow too large they can be spaced further apart with ease. Once set up and a tank is filled with water & liquid feed this extremely versatile system will completely take care of all your plant's needs. 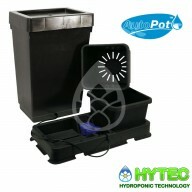 The AutoPot 1Pot module is highly versatile and can be used for a wide range of plant varieties and sizes. The 1Pot modules are easily linked together so many pots can be linked to a single supply line and from a sole tank, as shown throughout the brochure. The 15 litre pot that is sup..
AUTOPOT 1 POT SYSTEM The 1Pot System is extremely versatile and can be used for a wide range of plant types and sizes. 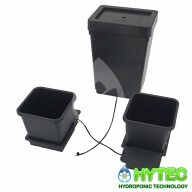 Seasonal flowering plants and perennial shrubs thrive and produce an abundance of blooms and foliage because of the unique action of the AQUAvalve, which is designed to allow the..
AutoPot Easy 2 Grow Kit Autopot 2-Pot System Excluding Header Tank Autopots are easy-to-use nutrient delivery systems. Plants are gravity fed from a reservoir – no pumps or items of electrical equipment are required. Instead, this system relies on the simple genius of their Aquavalve system to.. 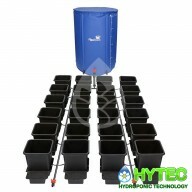 This 2 pot Autopot kit comes complete with 2 x 15 litre Autopot modules with trays & Aqua valves 1 x 47ltr reservoir 2 x copper root control discs 2 x marix discs all necessary fittings & 6mm feed tubing to connect the System ..
AUTOPOT 2 POT SYSTEM The 2Pot System is extremely versatile and can be used for a wide range of plant types and sizes. 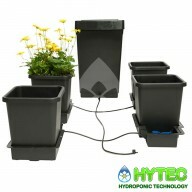 Seasonal flowering plants and perennial shrubs thrive and produce an abundance of blooms and foliage because of the unique action of the AQUAvalve, which is designed to allow the..
AUTOPOT 4 POT SYSTEM The 4Pot System is extremely versatile and can be used for a wide range of plant types and sizes. 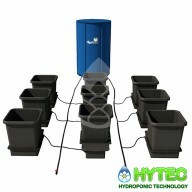 Seasonal flowering plants and perennial shrubs thrive and produce an abundance of blooms and foliage because of the unique action of the AQUAvalve, which is designed to allow the..
AUTOPOT 6 POT SYSTEM The 6Pot System is extremely versatile and can be used for a wide range of plant types and sizes. 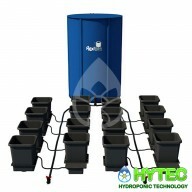 Seasonal flowering plants and perennial shrubs thrive and produce an abundance of blooms and foliage because of the unique action of the AQUAvalve, which is designed to allow the..
AUTOPOT 8 POT SYSTEM The 8Pot System is extremely versatile and can be used for a wide range of plant types and sizes. 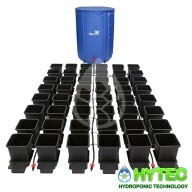 Seasonal flowering plants and perennial shrubs thrive and produce an abundance of blooms and foliage because of the unique action of the AQUAvalve, which is designed to allow the..
AUTOPOT 9 POT SYSTEM The 9Pot System is extremely versatile and can be used for a wide range of plant types and sizes. 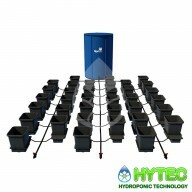 Seasonal flowering plants and perennial shrubs thrive and produce an abundance of blooms and foliage because of the unique action of the AQUAvalve, which is designed to allow the..
AUTOPOT 12 POT SYSTEM The 12Pot System is extremely versatile and can be used for a wide range of plant types and sizes. Seasonal flowering plants and perennial shrubs thrive and produce an abundance of blooms and foliage because of the unique action of the AQUAvalve, which is designed to allow t.. 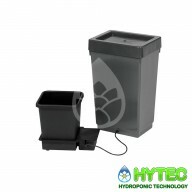 The 16Pot System is extremely versatile and can be used for a wide range of plant types and sizes. Seasonal flowering plants and perennial shrubs thrive and produce an abundance of blooms and foliage because of the unique action of the AQUAvalve, which is designed to allow the plant to go through a ..
AUTOPOT 24 POT SYSTEM The 24Pot System is extremely versatile and can be used for a wide range of plant types and sizes. Seasonal flowering plants and perennial shrubs thrive and produce an abundance of blooms and foliage because of the unique action of the AQUAvalve, which is designed to allow t..
AUTOPOT 36 POT SYSTEM The 36Pot System is extremely versatile and can be used for a wide range of plant types and sizes. 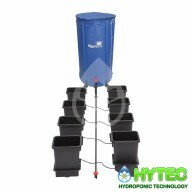 Seasonal flowering plants and perennial shrubs thrive and produce an abundance of blooms and foliage because of the unique action of the AQUAvalve, which is designed to allow t..
AUTOPOT 48 POT SYSTEM The 48Pot System is extremely versatile and can be used for a wide range of plant types and sizes. Seasonal flowering plants and perennial shrubs thrive and produce an abundance of blooms and foliage because of the unique action of the AQUAvalve, which is designed to allow t..